Located in the 12th arrondissement of Paris halfway between the Port de l'Arsenal and Gare de Lyon, the popular café will welcome you in a Parisian brasserie decor. 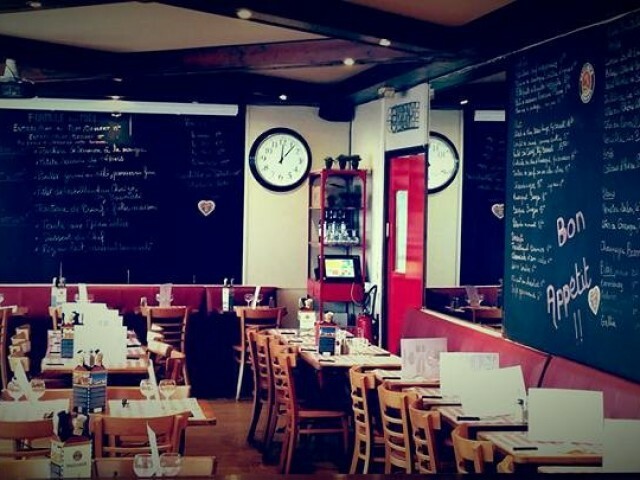 Enjoy traditional French cuisine without frills but adapted to the seasons and a very good value for money. All desires will be filled since at popular café, the formulas are constantly renewed and the menu is quite varied. Fancy a quality lunch and served quickly, you will be satisfied, a drink with friends on weekdays or weekends, you will feel at home and best of all, THE FOOTBALL which will complement an evening of good mood. The popular café is also a terrace, a friendly and warm welcome as well as concerts ... In short, no matter what you're craving, the Café Populaire team is THE neighborhood bistro where regulars and customers pass may share a simple and cozy.